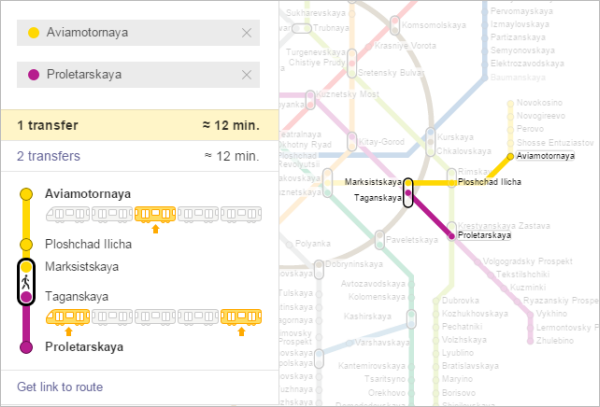 Yandex.Metro helps you plan your metro journey in Moscow, Saint Petersburg, Kiev, Minsk, and Kharkiv. Enter your start and destination stations in the From and To fields. 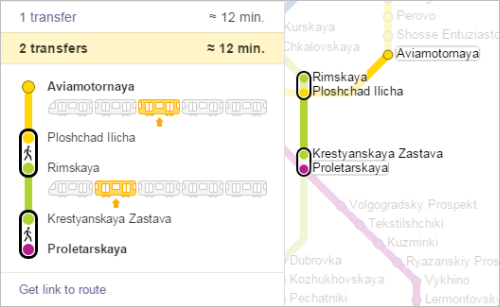 Select your start and destination stations on the map. To zoom the map in or out, simply click or . Average journey time. The time only includes the journey time between the metro stations and for transfers between lines. It does not include the time spent on the escalators at your start and destination stations. Route map. This also shows which carriage to take if you want to arrive close to the exit.